We invite you to join us in praying the following prayers which we pray immediately after Holy Mass each day. Remember, O most gracious Virgin Mary, that never was it known that anyone who fled to thy protection, implored thy help, or sought thine intercession was left unaided.Inspired by this confidence, I fly unto thee, O Virgin of virgins, my mother; to thee do I come, before thee I stand, sinful and sorrowful. O Mother of the Word Incarnate, despise not my petitions, but in thy mercy hear and answer me. Amen. O Holy Virgin, in the midst of all your glory, we ask you not to forget the sorrows of this world. Cast a look of pity upon all who sturggle against life's difficulties, and who cease not to feel all its bitterness. Have pity on all who have been separated from those they love. Have pity on the lonely and friendless. Pardon the weakness of our faith. Have pity on those whom we love. O Holy Mother, show a mother's compassion toward the sorrowful and those who tremble under life's afflications. Give them hope and peace. Amen. 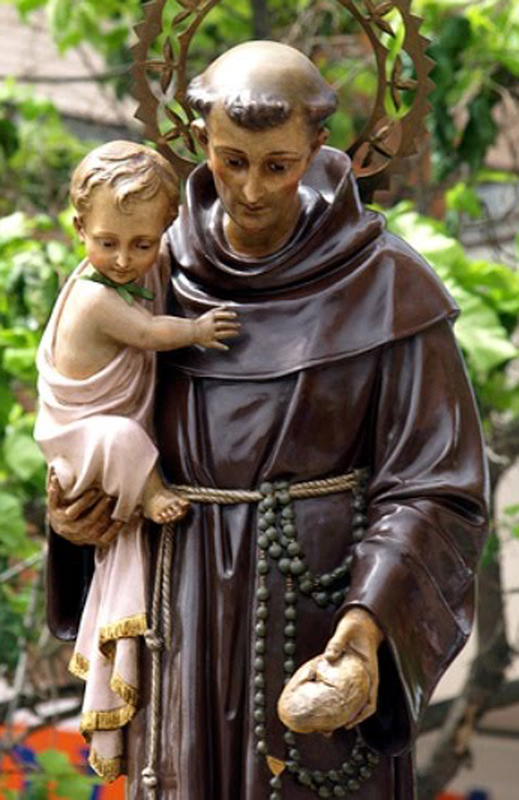 O Blessed St. Anthony, Doctor of the Gospel, light of Holy Church, lover of souls, true son of Francis of Assisi. Help us to have a true and solid devotion to you and to imitate your life and work for God and souls. Hold before us the Book of Books, Sacred Scripture, the source of your wisdom. Be to us a teacher of the ways of God and the Gospel of our Lord, Jesus Christ. Pray that our hearts may be on fire with divine charity, and by your life of consecrated chastity and your spirit of prayer, help us to be faithful to the vows of our baptism. 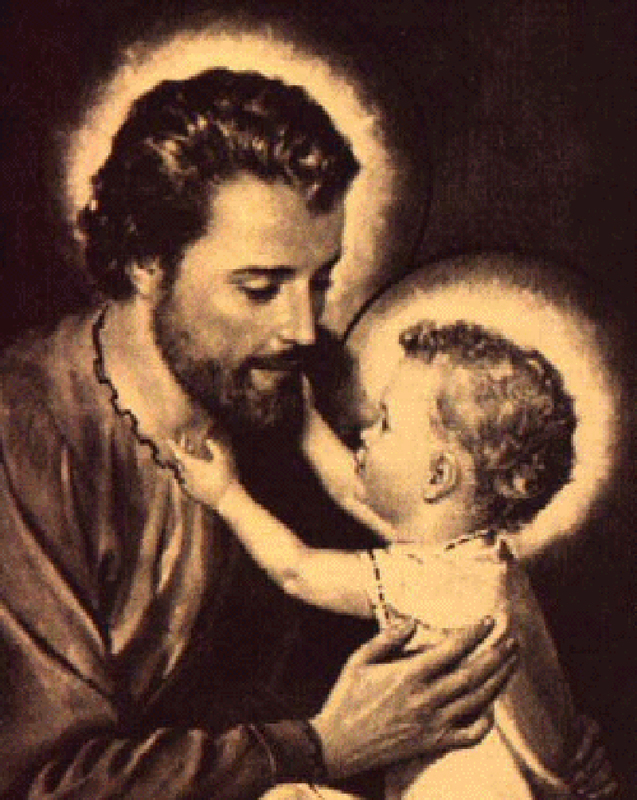 St. Anthony, loved and honored by the divine Child Jesus, obtain what we ask of you. St. Anthony, powerful in word and work, obtain what we ask of you. St. Anthony, attentive to those who invoke you, obtain what we ask of you. Most holy Apostle, St. Jude, faithful servant and friend of Jesus, the Church honors and invokes you universally, as the patron of hopeless cases and of things almost despaired of. Pray for me, I am so helpless and alone. Make use, I implore you, of that particular privilege given to you to bring visible and speedy help where help is almost despaired of. Come to my assistance in this great need that I may receive the consolation and help of heaven in all my necessities, tribulations and sufferings, particularly, (here make your request), and that I may praise God with you and all the saints forever, I promise O Blessed St. Jude, to be ever mindful of your assistance, to always honor you as my special and powerful patron, and to encouarage devotion to you. Amen. 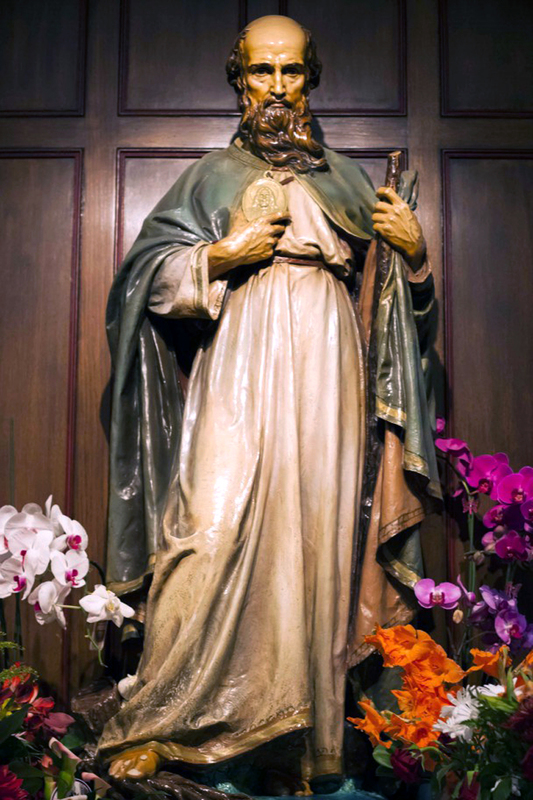 St. Jude, pray for me and for all who honor you and invoke your aid. We adore you, Lord Jesus Christ, presaent here and in all your churches, and we praise you, because by Your Holy Cross, You have redeemed the world. 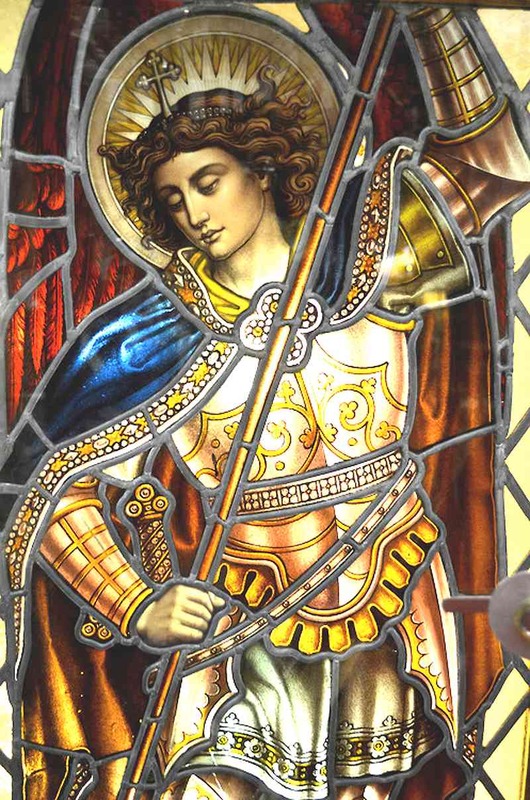 O Sacred Banquest, in which Christ is received, the memory of His passion is renewed, the mind is filled with grace, and a pledge of future glory is given to us. You gave them bread from heaven. Containing in itself all delight. LET US PRAY. 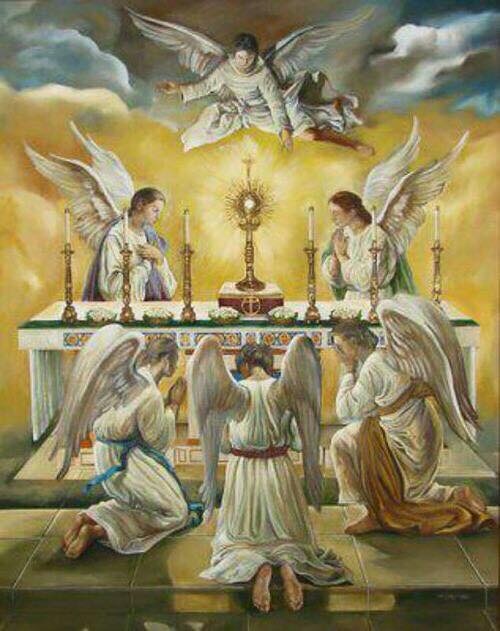 (Pause for silent prayer) Lord, give to our hearts the light of faith and the fire of love that we may worship in spirit and in truth our God and Lord, present in this Sacrament, Who lives and reigns forever and ever. Amen. Most sweet Jesus, Redeemer of the human race, look down upon us humbly prostrate before Your altar. We are YOurs, and Yours we wish to be; but to be more surely united with Youe, behold each one of us freely consecrates himself today to Your most Sacred Heart. Many indeed have never known You; many too, despising Your precepts have rejected You. 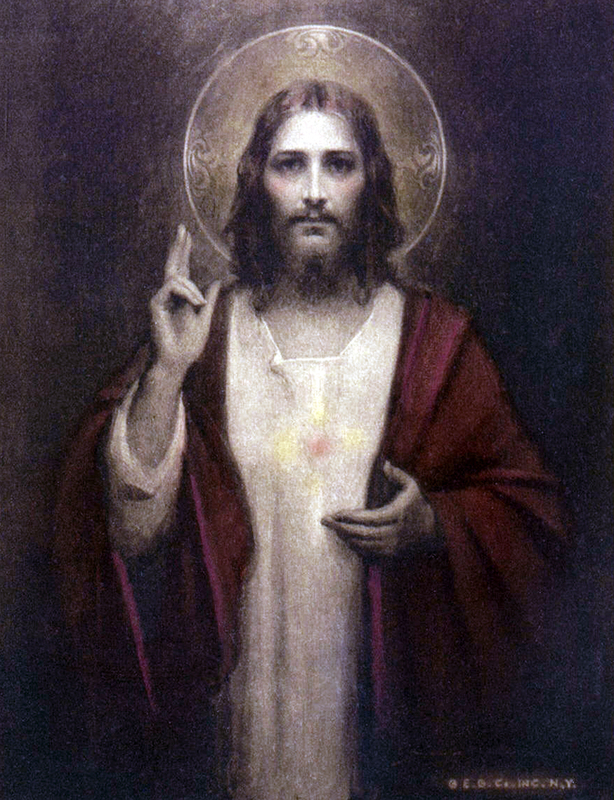 Have mercy on them all, most merciful Jesus, and draw them to Your Sacred Heart. Be a King, O Lord, not only of the faithful who have never forsaken You, but also of the prodigal children who have abandoned You; and grant that they may quickly return to Your Father's house lest they die of wretchedness and hunger. Also be a King of those who are deceived by erroneous opinions, or whom discord keeps aloof, and call them back to the harbor of truth and unity of faith, so that there may be but one flock and one Shepherd of Life. Also be a King of all those who are still involved in the darkness of idolatry or of Islamism, and who refuse not to draw them into the light and kingdom of God. Turn Thine eyes of mercy towards the children of the race, once Thy chosen people. Of old they called down upon themselves the Blood of the Savior; may it now descend upon them a laver of redemption and of life. Grant, O Lord, to Thy Church assurance of freedom and immunity from harm. Give peace and order to all nations, and make the earth resound from pole to pole with one cry: "Praise be to the divine Heart that wrought our salvation. To it be glory and honor for ever." Amen. Remember, O most chaste spouse of the Virgin Mary, that never was it known that anyone who implored your help and sought your intercession were left unassisted. Full of confidence in your power I fly unto you and beg your protection. Despise not, O Guardian of the Redeemer, my humble supplication, but in your bounty, hear and answer me. Amen. London: Burnes, Oates & Washbourne Ltd., 1935, 12th edition. For a wonderful and trusted list of great prayers, CLICK HERE for EWTN Prayer List . As you pray, please remember to include the Poor Clares in your prayers, especially for new vocations! God bless you, all of your loved ones and all of your intentions! Know that we are praying for everyone who visits our website.